I asked Kathy Elkins, co owner of Webs Yarn, what the shops plans for the day were and here are some of her answers! As well below are Webs custom colour’s for LYS Day! Have you done something like LYS day before? We have participated in many industry events including Knit in Public Day. This is the first Local Yarn Store Day and we are super excited to be a part of this event! What will you be carrying that day? we will be carrying multiple special products that were created by our fabulous wholesale partners just for LYS Day. 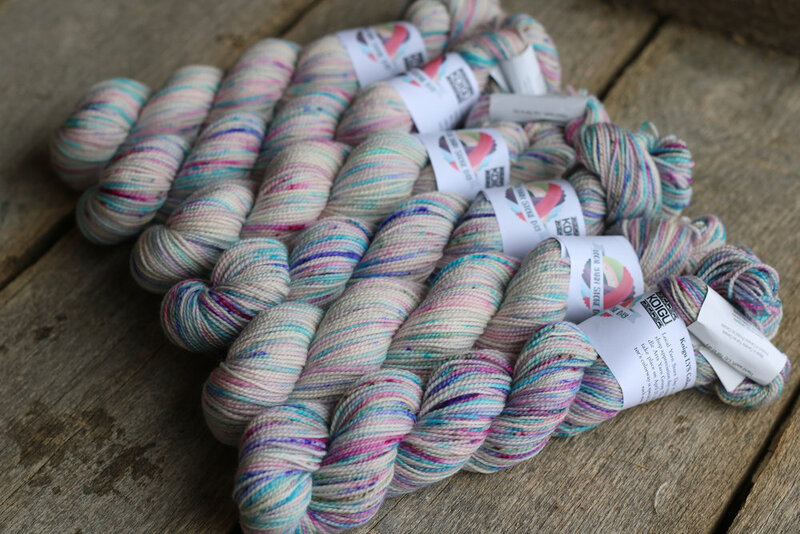 We will be showcasing LYS Day specials from Koigu, Prism, Berroco, Skacel, Classic Elite, Manos, Lorna's Laces, Oink Pigments, Kelbourne Woolens, Trendsetter and Universal. Additionally, we are thrilled to be featuring the collaborative Vegas Nights kit! What makes Webs special? What sets us apart is our size and selection. I also think we have the best retail team but I also know many other shops have great teams as well. "We cannot wait to welcome customers to our store on Saturday, April 21st for the first ever Local Yarn Store Day. We are looking forward to seeing old friends and hopefully new customers. We are grateful for the efforts of just a few volunteers who made this idea become a reality!" Webs yarn located both online and in Northampton.